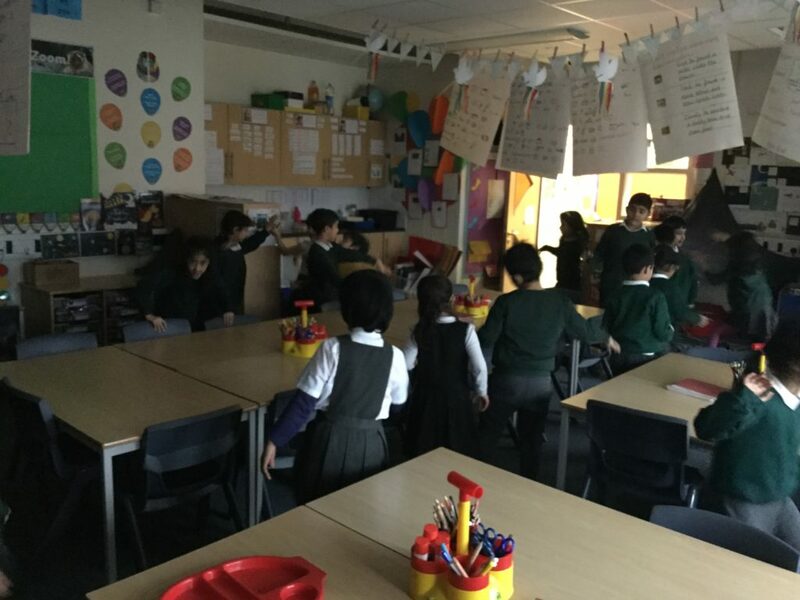 HomeAll postsYear 1 TrianglesWe went to the Moon! 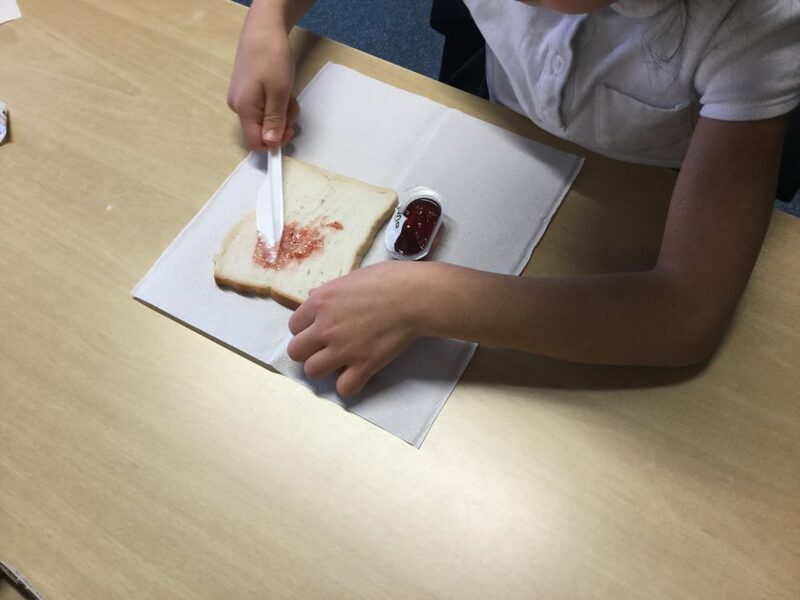 After writing instructions on how to make a jam sandwich, the children followed their instructions and made them! 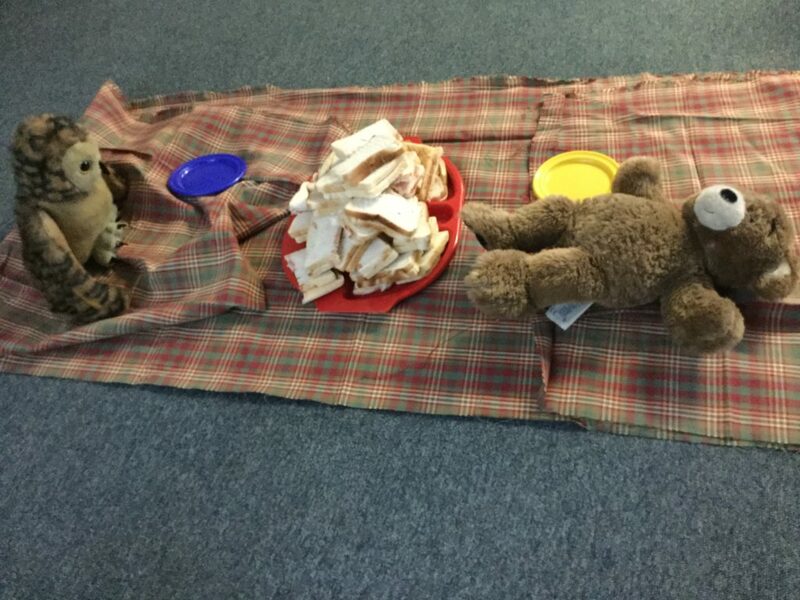 The children prepared the sandwiches and then we had a picnic on the moon with Baby Bear and Owl. 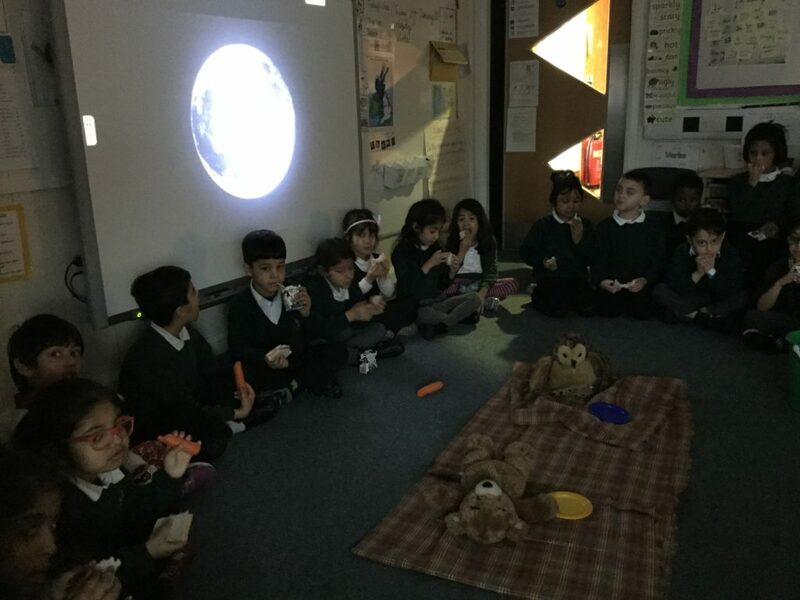 After our picnic was over, we decided to walk around the moon. Our movements were very slow and it felt like we were floating.